Some people hit up SXSW for its raucous parties and headliner music concerts, others for the debate-fueled panels and movie debuts. But Austin also plays host to one of the biggest tech conferences at SXSW Interactive, a showcase highlighting the industry’s latest game-changers designed to transform our everyday lives. 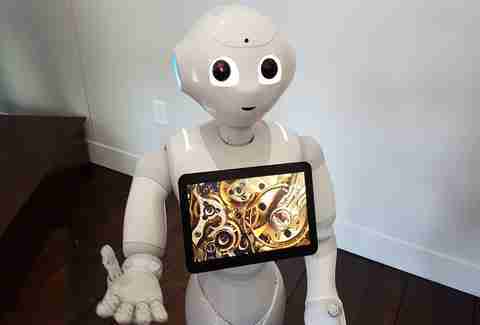 The Internet of Things served as this year’s theme, with everything from lifelike humanoids to VR-recording apps stealing the spotlight. Snapchat meets Vimeo? Picture that, and then add 360 degrees. 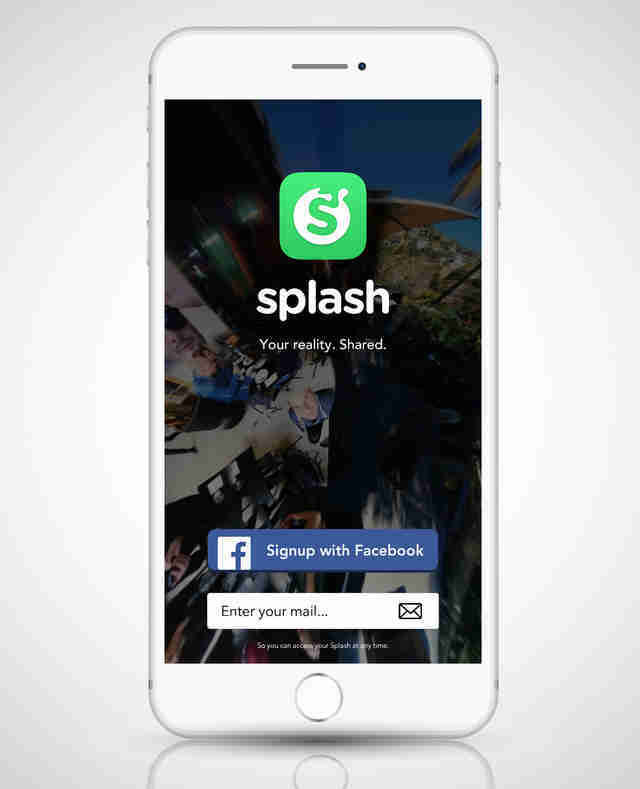 Splash converts your smartphone into a virtual-reality shooter, taking static images or video clips in parts of the frame to create an immersive POV. The app should pave the way for a community of next-gen video producers looking to create cutting-edge videos on their mobiles. 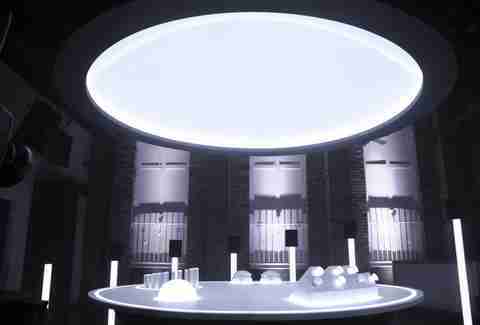 The Arc looks like it belongs in a Tron music lab, with 20 speakers and tons of sensors that pick up motion to morph musical elements into new tunes. Different parts on the board control different sounds, including chord modulation, harmony, melody, rhythm, and sound intensity. It’s built for collaborations, so multiple participants can make music without the intrusiveness of software. So what’s it gonna take to get a Daft Punk, Skrillex, and Yeezy jam session on this thing? A future where robots become our best friends might sound lonely, but it’s one we’ll embrace as father time takes its toll. 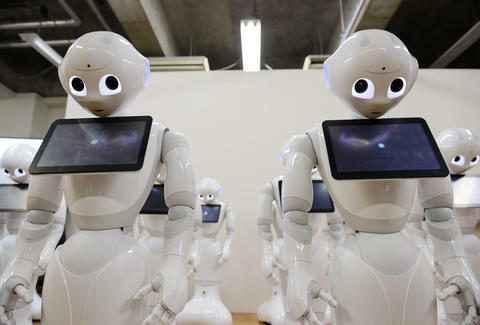 This android is powered with AI technology, the same used in IBM’s cognitive computing engine “Watson,” to engage with people by understanding human voices and responding to questions. It can predict human behavior over time to learn personal preferences, has an iPad mounted for FaceTiming, and even speaks with expressive gestures based on a person’s mood. Wonder how Pepper reacts to being cursed out Joe Pesci-style. 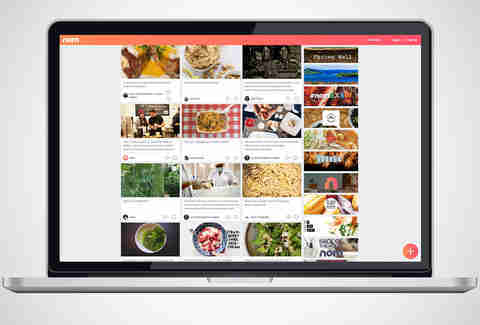 Periscope for foodies, Nom is a live-streaming platform for aspiring chefs to get their Bobby Flay on in front of the entire social mediaverse. The virtual food network lets you share cooking clips, interact with viewers, and answer questions during a live stream. Plus, the app can toggle between multiple cameras during broadcasts to deliver dynamic views. The developers are even working on a monetization plan to get sponsors involved, offering revenue-sharing deals to top cooking channel chefs. Bon appetit! Not your average in-ears, these tailor the way you'll listen to concerts through their accompanying mobile app and several sound settings to customize how you hear everything around us. Selecting any one of the 14 sound filters helps produce a spacious, intimate soundstage with each audio option engineered to block out selected environmental noises. This includes everything from outside construction to rowdy co-workers. A stylish self-charging case adds to its mass appeal. In a show dominated by virtual-reality peripherals, this Star Trek-looking headset reigned supreme. 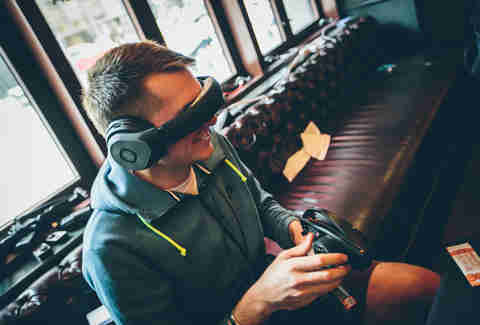 The Glyph doubles as a pair of headphones and features a 720p screen that’s integrated into the headband with a gyroscope to support motion tracking when watching 360-degree video clips. Avegant uses patented Retinal Imaging Technology that boasts advanced optics and 2 million mirrors to project images. It’s as surreal as they come. Putting a modern-day twist on the “Kodak moment,” the iconic photography brand looks to the future with a new photo app made for storytelling. Kodak Memories lets users upload a photo from their camera roll, Facebook, Instagram, Dropbox, or Flickr, which then prompts them to add text describing that specific moment. Unlike all other social photo-sharing networks, this one offers more narrative tools fashioned for curating your memories. 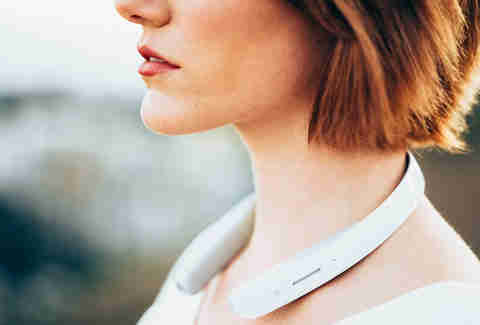 Basically the Amazon Echo for your collar, Sony’s audio concept is a smart speaker system disguised as headphones with the ability to respond to voice commands. You can ask it for restaurant suggestions, weather updates, and to snap photos through the device’s built-in 8MP camera. 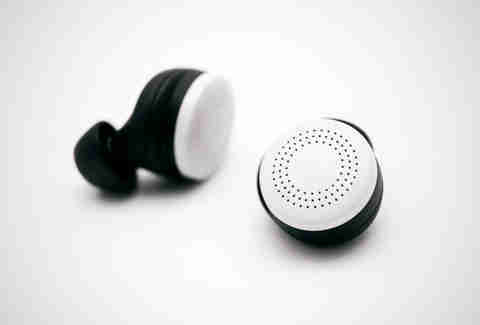 The design lets audiophiles hear music and other ambient noise, plus its motion sensors and GPS functionality can detect your movement via behavior tracking. Peeple Just Launched. Will 'Yelp for People' Actually Ruin Your Life? 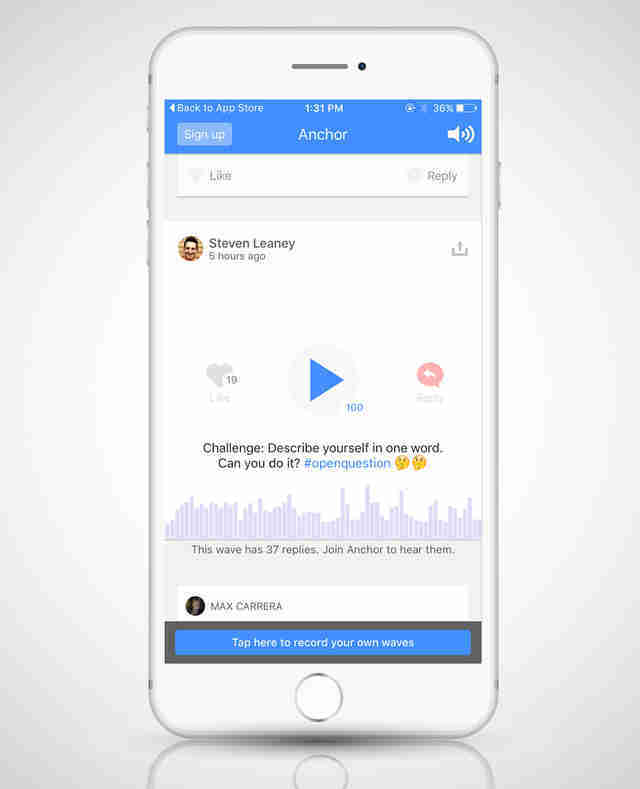 Voice interactions are making a comeback -- at least that's what the minds behind Anchor are selling us on. The audio-based social network looks to diversify the way we communicate on our smartphones by instantly broadcasting short audio clips to spark conversations with a global audience. View it as mini podcasts that are shareable across multiple messaging services (iMessage, Facebook, Twitter, SMS).